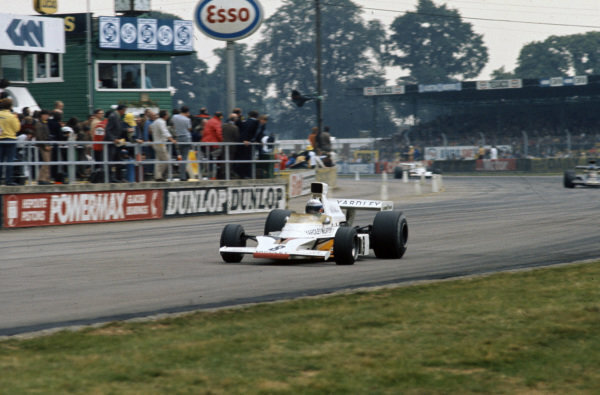 Denny Hulme, McLaren M23 Ford leads the field with Peter Revson, McLaren M23 Ford and Ronnie Peterson, Lotus 72E Ford behind. 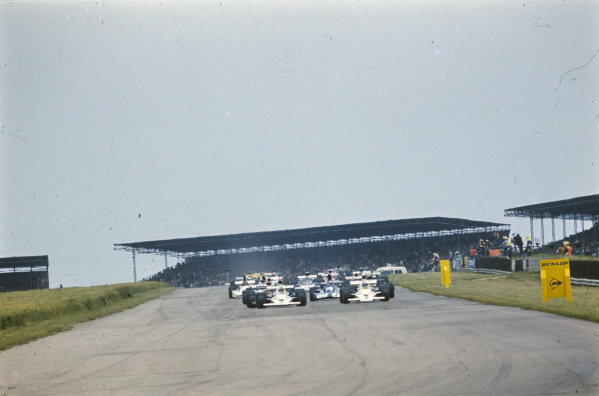 Emerson Fittipaldi, Lotus 72E Ford leads Jackie Stewart, Tyrrell 006 Ford, Carlos Reutemann, Brabham BT42 Ford and François Cevert, Tyrrell 006 Ford. 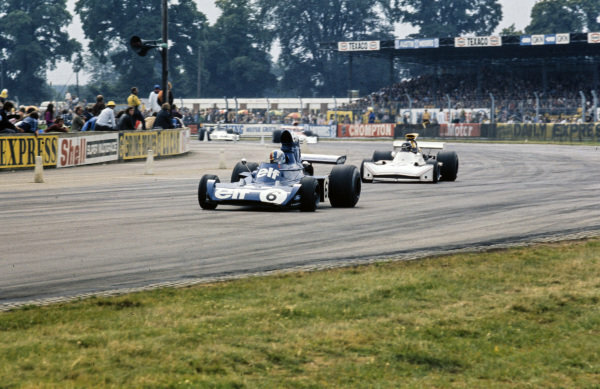 François Cevert, Tyrrell 006 Ford leads James Hunt, March 731 Ford. 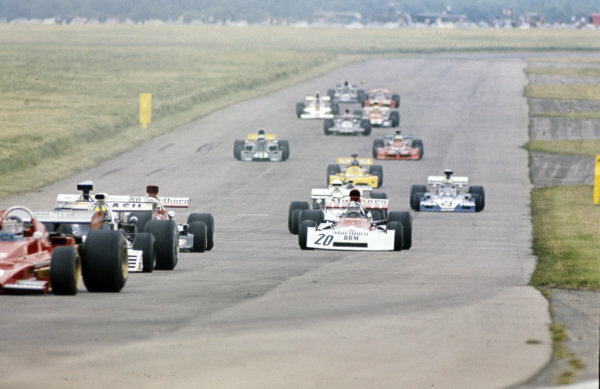 Team mates Peter Revson, McLaren M23 Ford and Denny Hulme, McLaren M23 Ford leading a group of cars, including Lotus 72D Ford team-mates Ronnie Peterson and Emerson Fittipaldi. 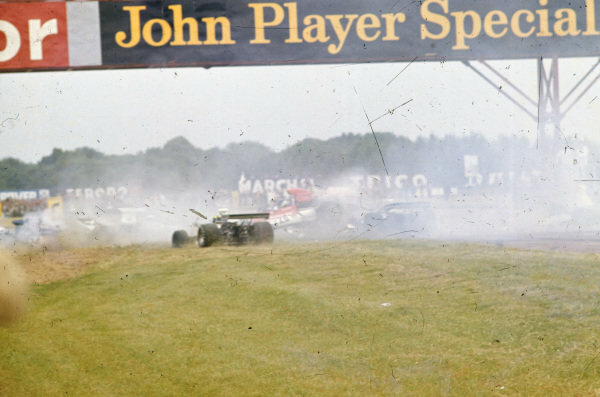 A multi-car pile-up, triggered after Jody Scheckter spun his McLaren M23. 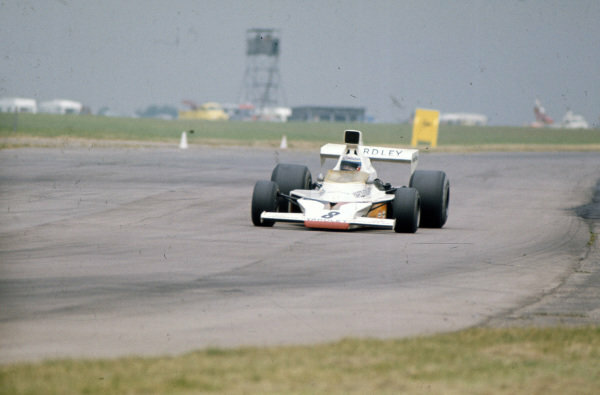 Jean-Pierre Beltoise, BRM P160E, is sideways in the middle of the pack with his rear wheels in the air. 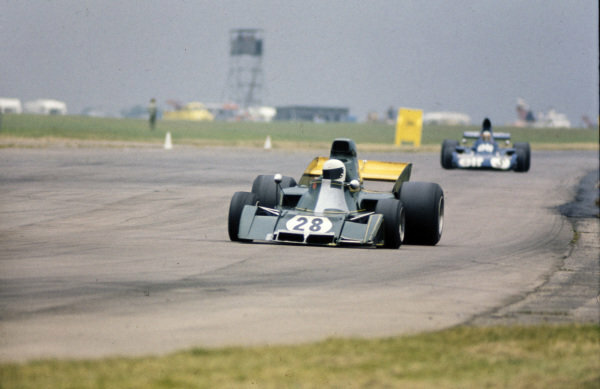 Wilson Fittipaldi, Brabham BT42 Ford, is to the left of him. 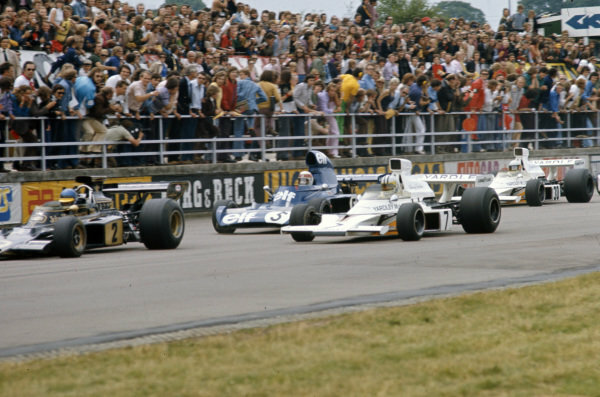 On the far left, Carlos Pace crashes his Surtees TS14A Ford. 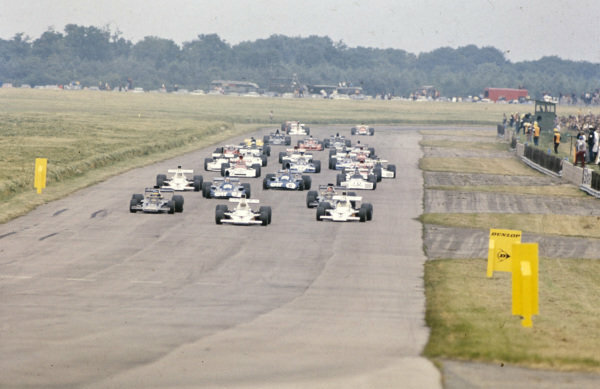 Rear view as the cars leave the grid at the start. 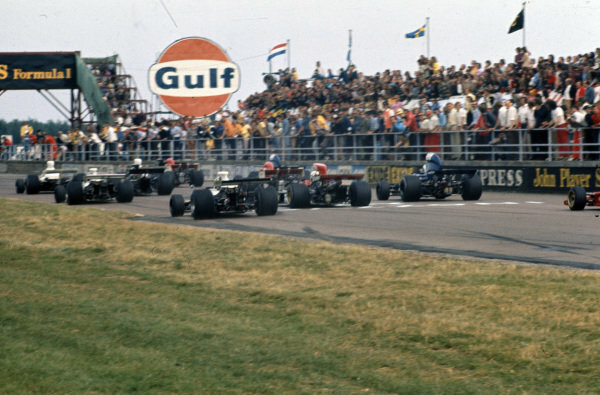 Ronnie Peterson, Lotus 72E Ford leads Denny Hulme, McLaren M23 Ford, Jackie Stewart, Tyrrell 006 Ford and Jody Scheckter, McLaren M23 Ford at the start. 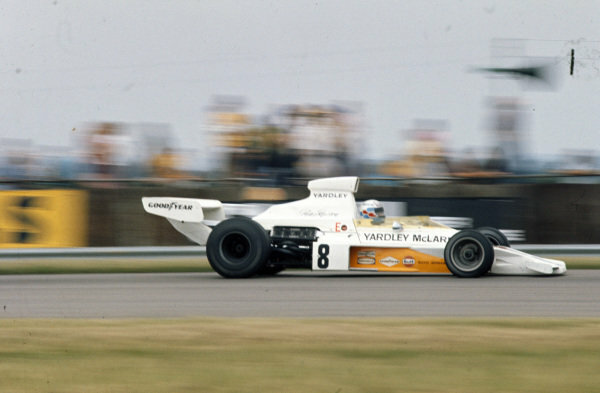 Peter Revson, McLaren M23 Ford. 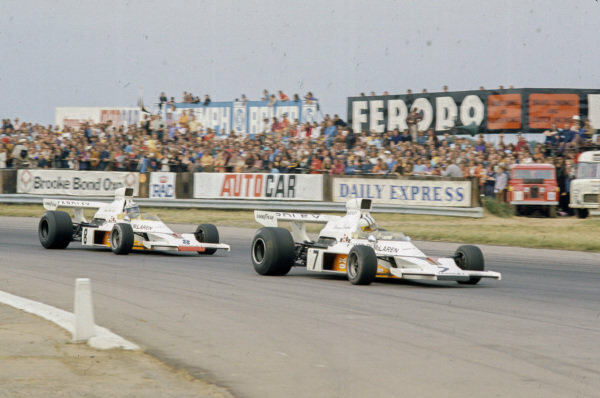 Denny Hulme, McLaren M23 Ford leads Peter Revson, McLaren M23 Ford. 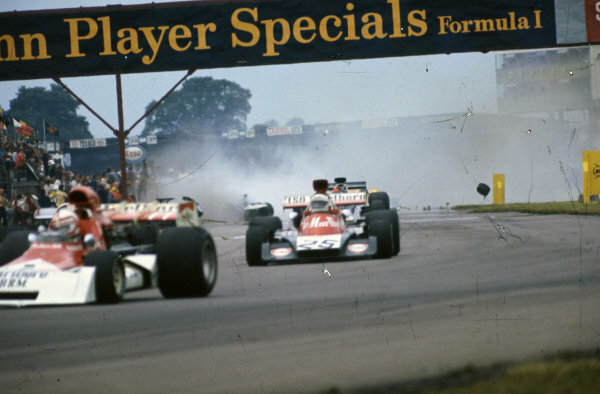 A multi-car accident takes place behind Clay Regazzoni, BRM P160E, 7th, Howden Ganley, Williams IR02 Ford, 9th and Emerson Fittipaldi, Lotus 72E Ford. 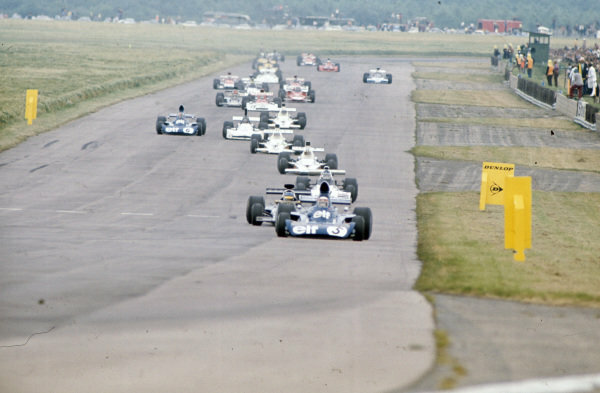 Jackie Stewart, Tyrrell 006 Ford leads Ronnie Peterson, Lotus 72E Ford, Carlos Reutemann, Brabham BT42 Ford, Denny Hulme, McLaren M23 Ford and race winner Peter Revson, McLaren M23 Ford. 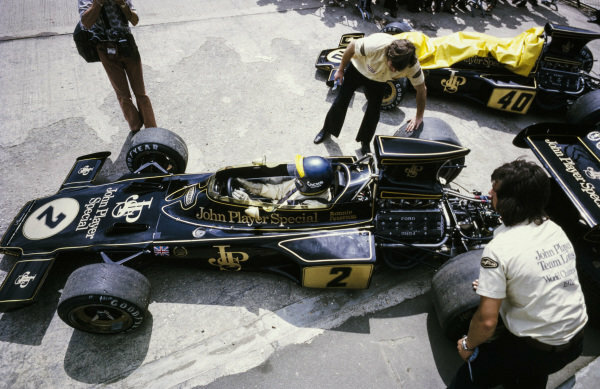 Ronnie Peterson, Lotus 72E Ford in the pitlane. 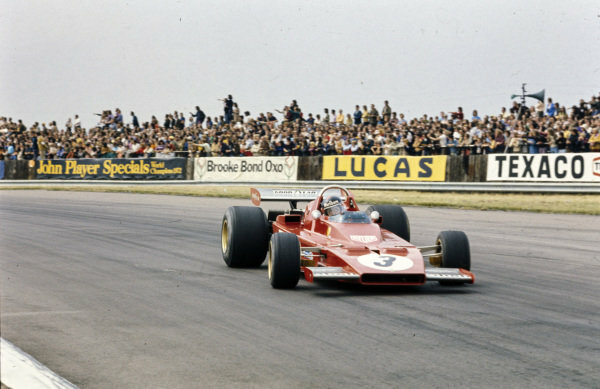 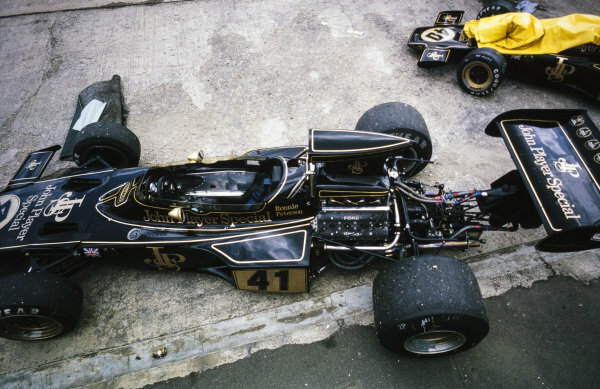 Ronnie Peterson's spare Lotus 72E Ford. 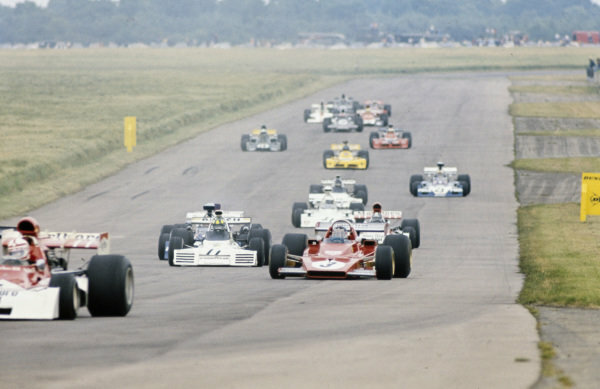 Jacky Ickx, Ferrari 312B3 leads Wilson Fittipaldi, Brabham BT42 Ford, Carlos Pace, Surtees TS14A Ford and Jean-Pierre Beltoise, BRM P160E. 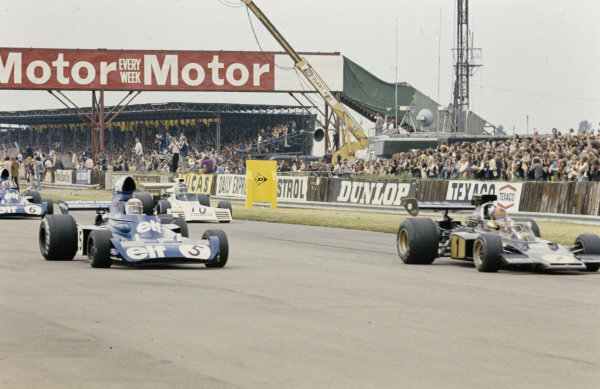 Rikky von Opel, Ensign N173 Ford leads Jackie Stewart, Tyrrell 006 Ford. 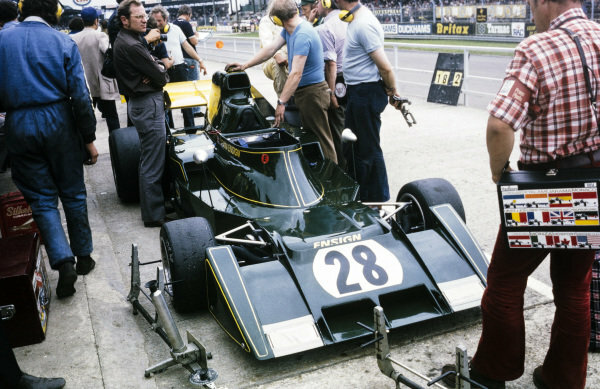 Rikky von Opel's Ensign N173 Ford in the pitlane. 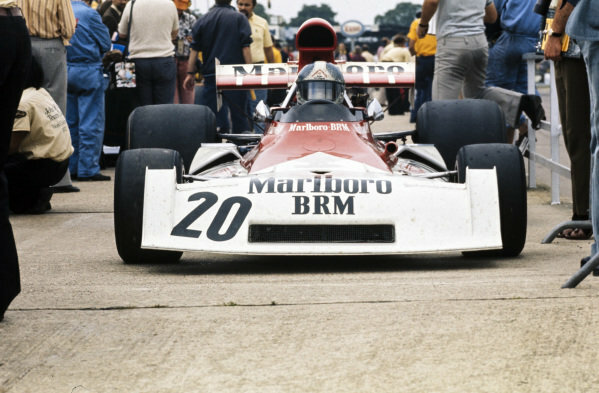 Jean-Pierre Beltoise, BRM P160E leaving the pitlane. 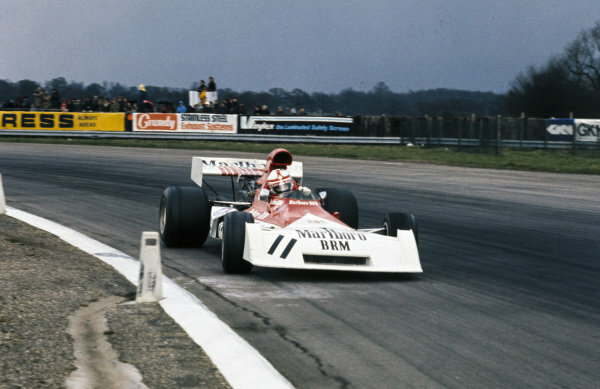 Jean-Pierre Beltoise, BRM P160E leads the mid-field pack. 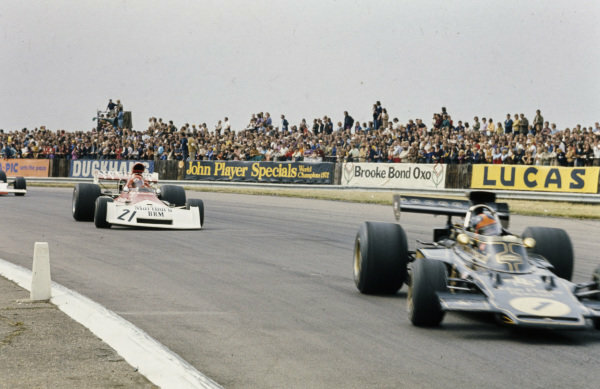 Emerson Fittipaldi, Lotus 72E Ford leads Niki Lauda, BRM P160E. 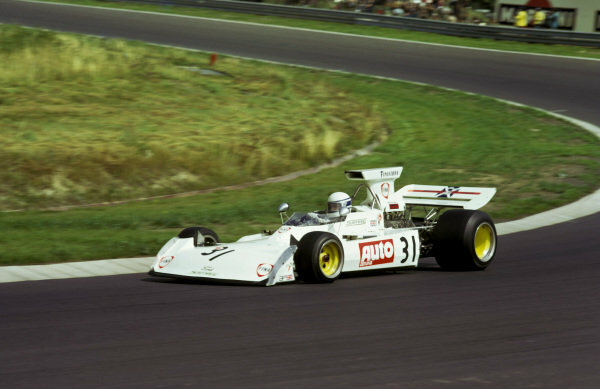 Wilson Fittipaldi, Brabham BT42 Ford.